Invisible braces like Invisalign are used to move teeth to give you a better smile. Just like traditional braces, Invisalign can give discomfort as your teeth move into their better position. So yes, Invisalign does hurt. However..
Invisalign and clear braces can give some pain or discomfort – but it is al most always mild and temporary. In fact over 54% percent of Invisalign users do experience some mild discomfort that goes away after a short time (Nedwed 2005). It is important to identify the type of pain caused by your Invisalign and figure out the easiest at-home remedy or whether or not you will need to contact the office of your provider. Working as a full-time dentist I have many patients over the years who have had clear aligners and experienced zero pain from day one till treatment completion. It is just as common to patients experience discomfort for days after every aligner change. Everyone is different! Invisalign starts with an impression or scan of the teeth. Once the aligners are ready, the dentist or Orthodontist will stick tiny “attachments” of composite resin (white filling) to help guide the teeth and make the treatment quicker. The first week of Invisalign is the most common for people to experience Invisalign pain. As well as having seen many of my patients go through this – I have been through it myself! For the first few days my teeth ached and the aligners felt very tight. I took some over-the-counter pain killers as suggested by my Orthodontist friend who was treating me. We use Invisalign and clear aligners as an alternative to braces. Both braces and Invisalign move teeth. Where there is tooth movement, there will be pain or discomfort. Invisalign moves different teeth in different amounts with each aligner tray. This means a single tooth can get quite sore. Time will be the best cure – if possible to ignore it, the discomfort will go away in a few days. It is common for people to take an anti-inflammatory like Tylenol or Ibuprufen to manage the tooth pain caused by their Invisalign. Pain the the jaw when starting or changing Invisalign trays is not unusual. The soreness in the jaw, muscles, or ligaments is usually due to clenching or grinding during the day or night. Once the jaw relaxes into the new position – the pain tends to go away. Tough it out – wait a little while and you will get used to the plastic that has changed the bite and caused clenching and muscle soreness in the jaw. A warm compress or heat pack on the jaw a few times per day can help ease the inflammation and muscle soreness the jaw caused by Invisalign aligners. Over-the-counter painkillers like Tylenol or paracetamol may also help ease the discomfort till the jaw muscles get used to the new bite. Try not to clench or bite into the Invisalign trays during the day. Lots of patients will bite continuously onto the clear plastic. 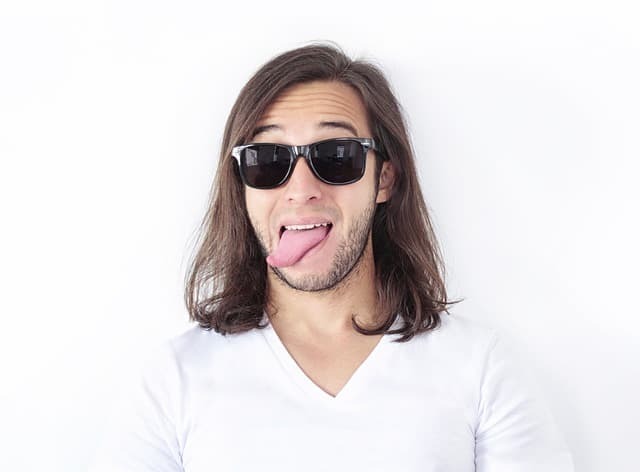 A sore tongue typically appears soon after changing to a new set of aligners. It is quite common for a tongue to be rubbed by the sharp edge of a tray. This can result in a sore or ulcer on the tongue. Sometimes there are multiple spots and multiple ulcers. This kind of injury on the tongue is usually a red spot that looks like a scrape or a burn. Although some of us experience this with every new set – most patients only notice this with the first set, or infrequently. To remedy you need to fix two things. Firstly, identify the sharp area and smooth it. You can ask your dentist or orthodontist to smooth this for you. Some dentists recommend using a nail file or emery board to lightly polish ONLY the sharp border. This will not change the fit of your aligner – and should be conservatively done. I personally found a nail file to be very useful to polish away the sharp edges. Secondly you need to treat the ulceration. It will heal itself in time – but consider using a salt water mouth rinse to help avoid infection and ease the discomfort. An over the counter medication like the teething gel (e.g. Bonjella) may also ease the discomfort caused by the Invisalign to the tongue. Placing and removing Invisalign trays is something that you need to do frequently. Initially the trays can be very tight. In addition, the teeth can be sore as they move – which makes placing and removing the trays painful. 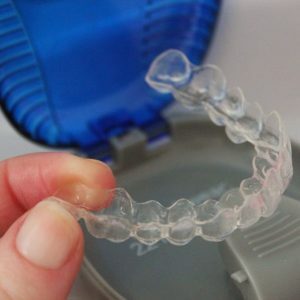 If it hurts to remove your Invisalign, this is likely due to a new set of trays gripping the teeth tightly. Use your fingers and start from the molars. Do not use any tools or instruments to remove the trays – even if they are tight. Pain while removing Invisalign trays should pass within a day or two. Apart from over the counter pain medication, there is no recommended treatment or remedy for this type of Invisalign pain. Time is the cure. If the trays are unbearable to remove and this persists for more than a day or two – you must contact your dentist or orthodontist office for advice! A patient of mine asked me “Is it normal for my Invisalign to give me sensitive teeth?” Although there are some occasions that there might be sensitivity caused by Invisalign, the following are NOT usually caused by Invisalign. If you have these symptoms make a dental appointment with your trusted Dentist or Orthodontist as soon as you can. Wear the trays as much or MORE than what is encouraged. Most providers encourage at least 22 hours of wear per day. The more you wear the trays, the les painful the teeth and jaws will be. Each follow up tray will fit easier – and the whole process will be more comfortable. Stay on schedule – stick with the program and change your aligners as appropriate. Mark it in a phone calendar and set reminders. Put in your new set of aligners at night – this means you will likely be able to sleep throughout the first eight hours or so of possible discomfort associated with new Invisalign trays. Be on the lookout for types of pain that are not commonly associated with Invisalign (temperature or sweet sensitivity) and contact your dentist ASAP if you experience these! See or call your orthodontist if it doesn’t feel right – its an incredibly common procedure and they have heard it all before! Whatever pain or discomfort you are experiencing will have a solution that is probably quite simple. They can only help you if you contact them and ask for advice. The orthodontist or dentist typically can provide you with specific information to match your mouth and put your mind at ease. Even though there can be pain associated with Invisalign – moving teeth is worth it for the better smile! Remember going through the discomfort is all for a good cause. You will look back at your time with Invisalign and think that although easy, to end up with the smile you want is worth it.